I use YouTube in my classroom almost every day. 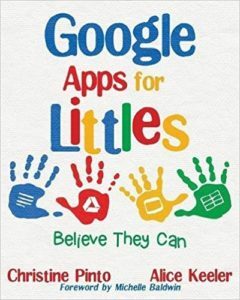 YouTube has videos for learning songs, read alouds, factual information, and more! When I come across a video that I can use in the classroom, I categorize it into a playlist so I can easily access it later. YouTube playlists are a collection of videos that revolve around a common theme. Since playlists have a URL, I can pass the link along to colleagues and students’ families. I am a strong believer in sharing forward resources. If more people can benefit from resources or ideas, why not make them easily accessible and pass them on? 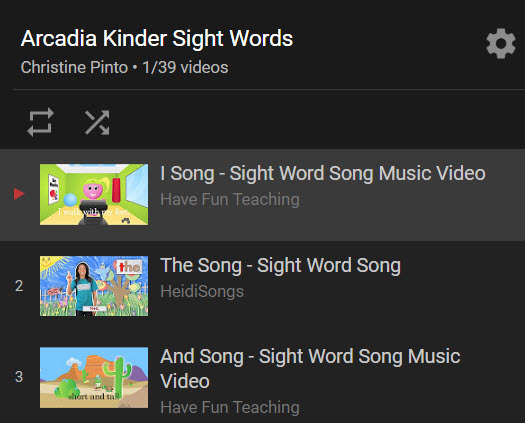 Check out the YouTube playlist I made for my district’s kindergarten sight word list. 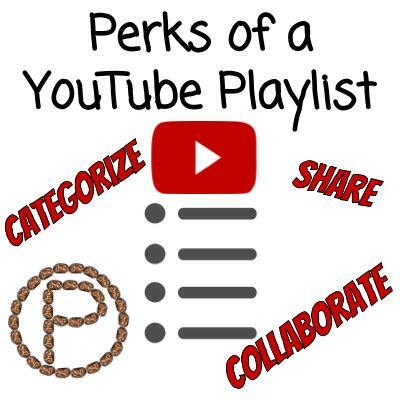 Another perk to YouTube playlists is that they are SUPER easy to create! Make sure you are signed into the Google account that you would like to create the playlist on. 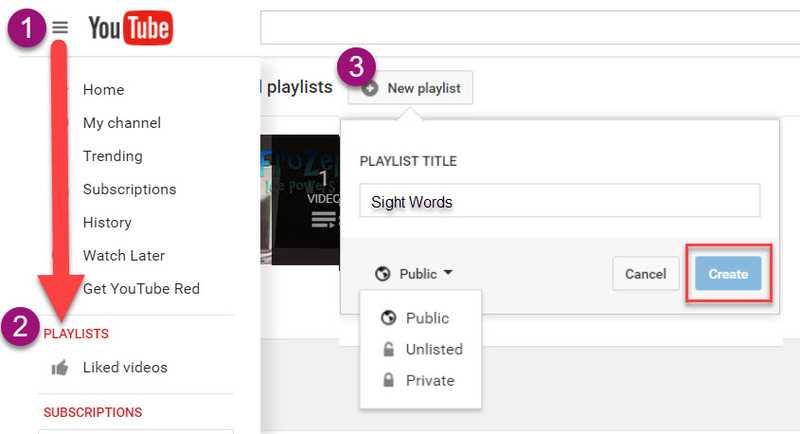 One way you can create a new playlist is by clicking on the three lines menu and selecting “playlists.” Click on “New playlist”, title your playlist, and choose a privacy setting. (In a nutshell – Public: anyone can find and view, Unlisted: people with the URL can view, Private: only you can view.) This is how you will also access your playlist once it is created. Change the order of the videos: Click on the left side of the video in the playlist and move the video. Collaborators can add videos: If your grade level is doing a unit on a particular topic, share the collaborator link to the playlist with them so they can add videos! 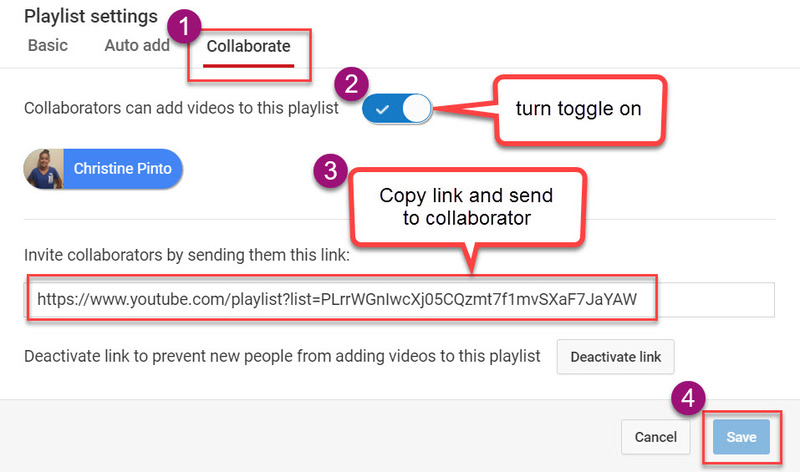 Access your playlist and click on “Playlist settings.” Click on the collaborate tab and turn the toggle on that enables collaborators to add videos to the playlist. 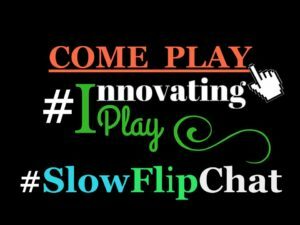 Copy the link and send it to anyone who you would like to add videos to your playlist. This entry was posted in YouTube by Christine Pinto. Bookmark the permalink.